2004 Cabo 48 Convertible w/twin Caterpillar C-18, 1050 hp eachA CAT powered 48 Cabo: never storm damaged, painted, engines totally serviced to-date per Caterpillar specs, fresh interior, constantly updated and maintained. Its a super rare find in today's market; this is one sweet boat!Recent upgrades - fresh out of the yard - total service including: bottom stripped down, wet epoxy system, completely finished 4,000 hour CAT engine service. United Yacht Sales New Jersey would love to guide you through a personal showing of this 48' Cabo 48 Convertible 2004. 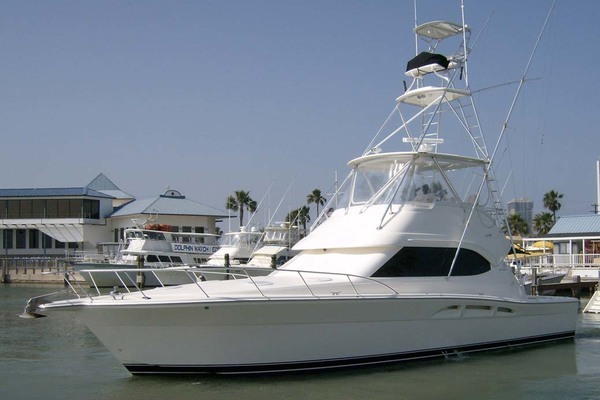 This yacht for sale is located in Orange Beach, Alabama and priced at $675,000. For a showing please contact us by filling out the form on this page and we will get back to you shortly!